This variety of red radicchio is considered the king of radicchio! Not many people are aware, however, about the many weeks of patient manual work that are needed to grow this vegetables used in so many delicious Italian recipes. In order to be identified as an authentic Radicchio Rosso di Treviso IGP, the radicchio must come from the designated area located between the provinces of Treviso, Padua and Venice and must be grown according to traditional techniques, which include a “bleaching process” in the water of the Sile river. 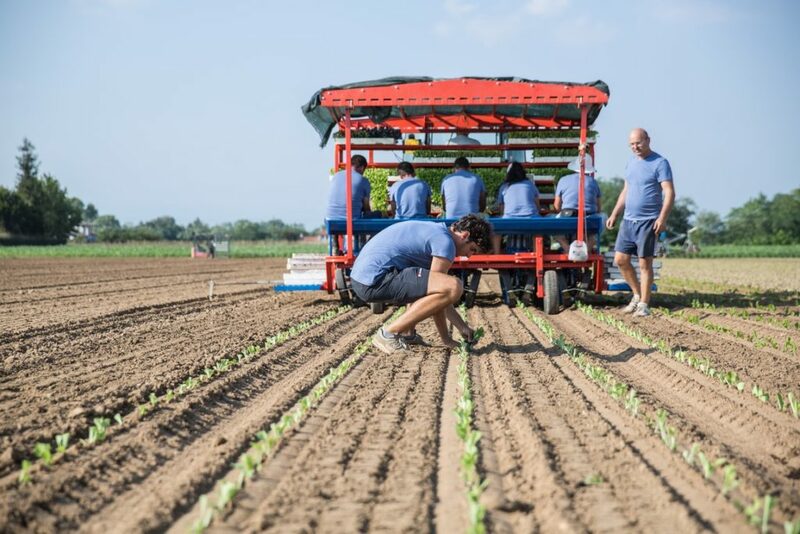 The first step in the production of Radicchio Rosso di Treviso IGP begins in the fields within the specifically designated growing zone around Treviso where the radicchio plant is grown.These fields are rich in minerals which allows the plant to grow strong enough to withstand the winter frost. The harvest begins with the first frost and continues without interruption until the entire field is harvested. 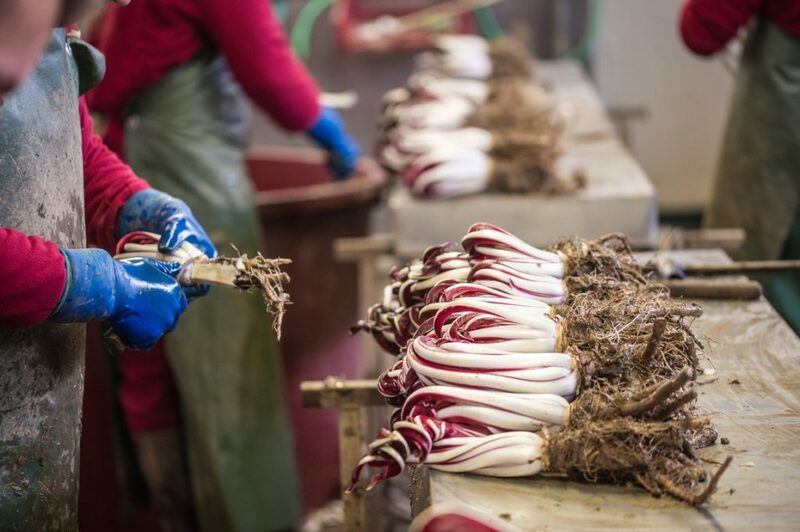 The radicchio, which is covered in layers of leaves, is then immersed in the spring water of the Sile for the last phase of the process: bleaching. Left in the dark for 15 to 20 days, at a constant temperature of 13 degrees, the tufts of the vegetable absorb the nutrients and the properties of the spring water and allow it to gain its unique colour and taste. The tufts are then husked to reveal the red radicchio bud which we are familiar with and is then ready to be consumed on its own or used in a recipe! 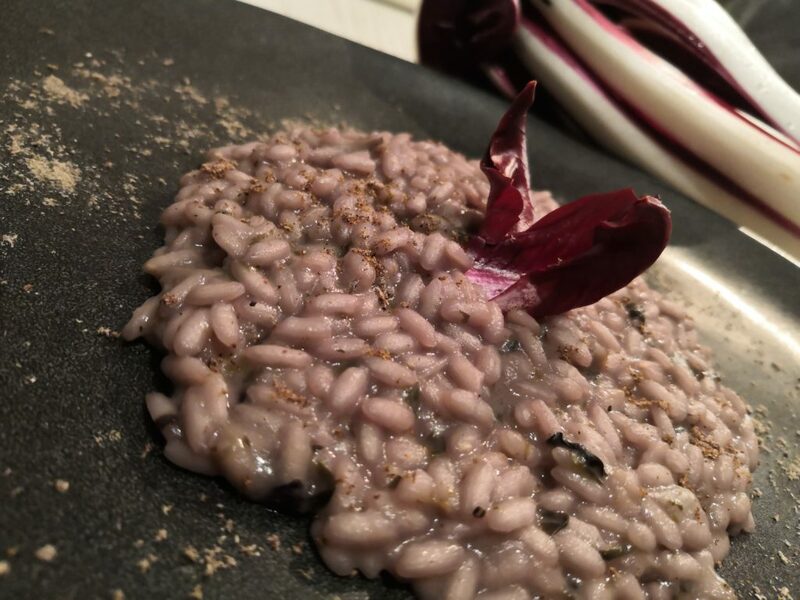 A simple dish to make that enhances the taste of radicchio is a classic risotto. Let the onion stew in a pot with extra virgin olive oil. Cut the radicchio into julienne strips. Add the rice into the pot for about forty seconds. Add the white wine, let it evaporate and season with salt. Add the boiling broth a little at a time, stirring constantly. Cook for about fifteen minutes. Mix in the butter slowly as it cooks. Let the rice sit for a minute in a saucepan with a lid. Add a little broth and serve.